The island of Ireland split into two states in the early 1920s, but the IRFU decided to remain intact as one organization and continue to govern the whole island, regardless of the international border that now ran across the island. The administration was based on the traditional four provinces of Ireland (Leinster, Ulster, Munster, and Connacht), and the 32 Irish counties split up between them. In the 1880s, the four provincial branches ran cup competitions, and these competitions still take place every year. In 1990, an All-Ireland league was founded that included 48 senior clubs, and this league somewhat eclipsed the provincial-run competitions. In the 1920s, the four provincial teams began playing an Interprovincial Championship, and this level of play remains an aspiration of those players who wish to go on to play at an international level. This conversion to professionalism bode well for Irish rugby, and the IRFU worked it out so that the players have contracts with the IRFU itself, so that even though they play for the provincial teams, it’s the IRFU that decides when the players will actually play. The provincial teams have done well on an international stage, Ulster having won the European Cup in 1999, Munster having won it in 2006 and 2008, and Leinster having won it in 2009, 2011, and 2012. The national team has done well, too, and regularly competes with the world’s top national rugby teams. The only faction of Irish rugby to have likely suffered from professionalism is the club circuit, having lost players to the professional levels. Traditionally, rugby union in Ireland has been considered a rather Anglophilic pastime, although there have been very prominent players from nationalist circles. Today, both nationalists and unionists play rugby, and is generally considered a middle-class sport. Though in Northern Ireland there was a tradition of rugby being played predominantly in Protestant schools, this climate is changing, and the sport is being introduced to more Catholic schools, the sports at such schools having been traditionally restricted to Gaelic games. 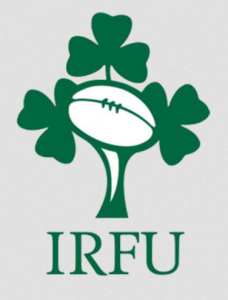 Something I found particularly interesting, the IRFU has a fifth branch, called the Exiles Branch, whose job it is to seek out players living in England, Scotland, and Wales, who are eligible to play in Ireland thanks to their ancestry.